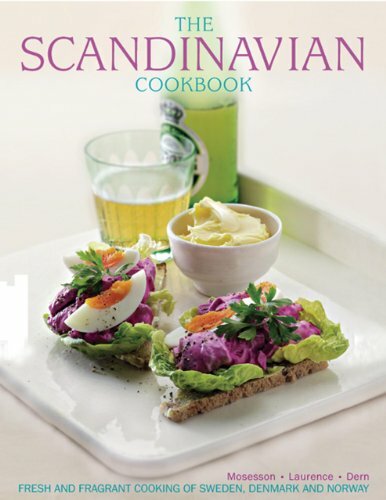 Discover the delights and distinctive tastes of Scandinavian cuisine in this beautiful book, with more than 150 recipes from Sweden, Norway and Denmark, shown with 800 inspiring photographs. Anna Mosesson was brought up partly in Sweden, and runs restaurants in Suffolk and London. Anna has made television and radio appearances, and written for magazines. Janet Laurence has an extensive knowledge of Scandinavian cuisine. She has run cooking courses for adults and children, and has written several cookbooks. Judith H. Dern lived in Finland for a year and travelled extensively in Scandinavia. She has contributed to various US magazines and written many cookbooks. Mosesson, Anna; Laurence, Janet; Dern, Judith H.